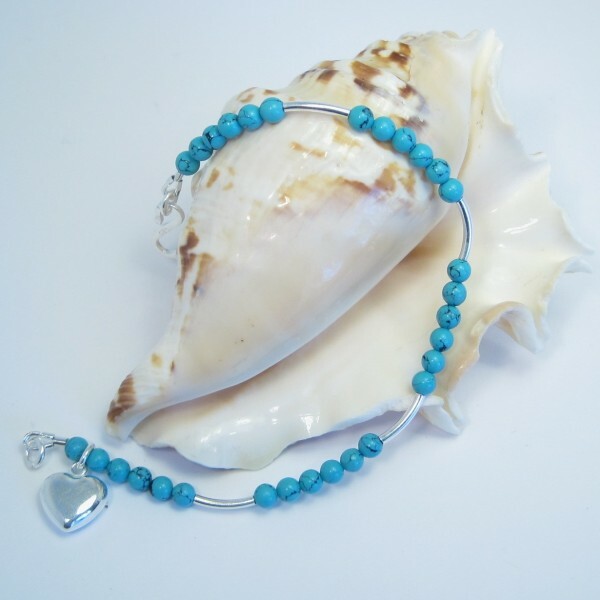 Delicate and pretty, this unique turquoise bracelet is finished off with a sterling silver puffed heart. Click the ADD TO BASKET BUTTON to buy this bracelet now. 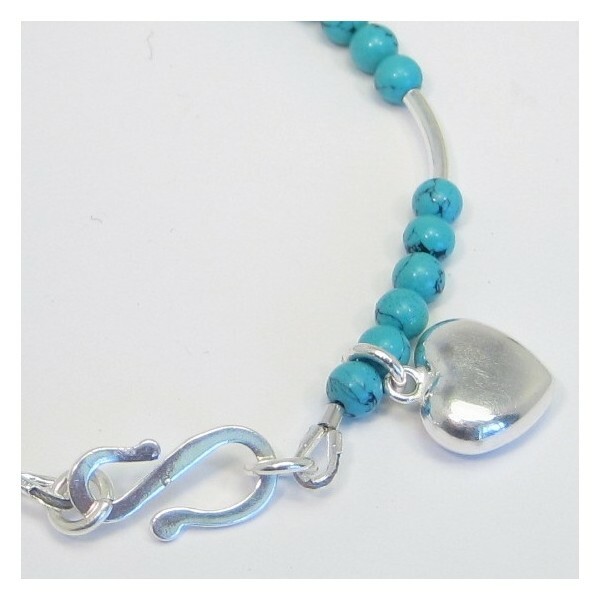 Sterling silver S shaped clasp. Sterling silver 10mm tube beads.